1 x Scoot SLIM Hoof Boot. Scoot SLIM Horse Hoof Boots Are Tough Wearing and Exceptional Value For Money. Helping Bring a Natural Balance Back to Your Horse or Pony! This is a SINGLE / 1 X SCOOT SLIM HOOF BOOT. TO ORDER A PAIR OF SCOOT SLIM HOOF BOOTS CLICK HERE OR ORDER 2 X SINGLE SCOOT SLIM HOOF BOOT'S. The length of the Scoot Slim Hoof Boot is the same as the regular Scoots in the relevant sizes but 10mm narrower. The Scoot SLIM Hoof Boot is the latest innovation in hoof boot technology that the inventor believes will be far superior to any other horse boot on the market. This is due to its simplicity and ease of fit. Unlike other hoof boots, the Scoot SLIM Boot will not get soggy, heavy or wet when riding through muddy and wet terrain. 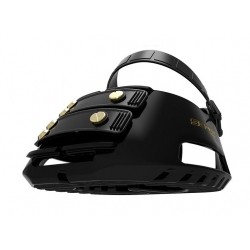 This is because the Scoot Boot SLIM is constructed of very strong thermo plastic urethane (TPU) as well as the securing straps, which gives the Scoot Boot SLIM superb strength to stand up to all types of terrain that you and your horse may ride over. The Size Guide Below is just a guide and it is quite common for horses to go down 1 size from their hoof measurements compared to the size chart below when fitting the Scoot SLIM Hoof Boots. A snug fit is essential to the success of the Scoot SLIM Hoof Boots. 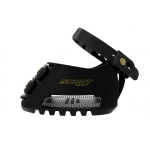 The Scoot SLIM Hoof Boots fit kit is the ideal tool to determine the suitability and / or size of the Scoot SLIM Hoof Boots for a horse’s hoof and it is recommended to use this first to ensure the correct size is selected. 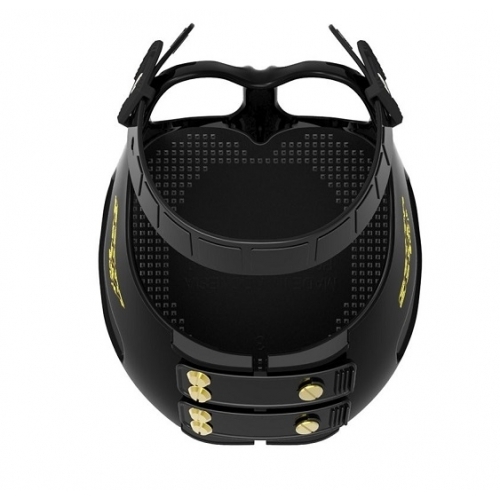 Hire a Scoot SLIM Fit Kit.